Everyone is familiar with the popular reasons for getting a divorce: he cheated on me, she has a gambling problem, he is annoying, it’s part of our contract since we are celebrities, and so on. Well, if you live in New York, none of these reasons for divorce really matter as of late, as the state has finally adopted a no-fault divorce policy. No-fault divorce means that a couple need not prove any instances of wrongdoing or abuse in order to file for divorce in a court of law. New York is the last state to adopt this stance, which officially makes our nation a “no-fault divorce nation”. This is one of the rare instances in which all 50 states show some sort of uniformity on an issue. Previously, couples who wanted a divorce in New York without proving fault had to be separated for at least one year before becoming eligible to file. Under the new law which takes effect in October, spouses are allowed to terminate their marriages within a period of six months after declaring that their marriage is “irretrievably” broken down. California gave birth to the no-fault divorce movement in 1969. Several states quickly followed, and by 1985 all states but New York had some form of no-fault divorce law in place. Apparently the Empire State has had a change of heart. In a previous blog we posted, New York chose to remain fault-based divorce for various reasons, including both religious (New York has a sizeable Catholic population) and secular arguments. Among the arguments against no-fault divorce are that it leads to higher divorce rates, and that it does not provide equal bargaining powers with respect to gender. Proponents usually argue that fault-based divorce leads to perjury in court when spouses create excuses for divorce. Like any family law issue, the debate over fault versus no-fault divorce is a very heated one. 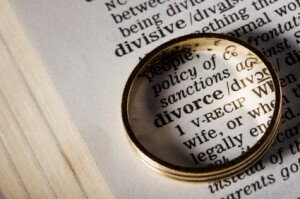 Most people are wondering whether New York residents are ready for no-fault divorce. Some (unhappily wed) New Yorkers have been waiting for this for a long time. But I’m questioning whether New York’s judicial system is ready for the law. The law appears to have some unresolved issues regarding the details in calculating maintenance amounts (i.e., alimony and child support). The new law was passed in tandem with two other companion bills which address the various factors that judges can use in determining maintenance. But even many advocates of the law, including some judges, feel that the companion bills are problematic as they are very unclear about how to calculate maintenance. In fact, a commission has been appointed to research alimony standards in the state, although a report will not be available until the end of next year. This is surprising to me, considering the state is the originator of the New York minute. In my opinion it appears as though the New York legislature did not think this one all the way through. After all, if you’re going to allow couples a more streamlined process for divorce, the least that courts can do is to be faithful and reliable when it comes to something as important as alimony standards. This is especially true for non-monied spouses who truly need the support. This is something that I believe both sides of the debate can agree upon. So it looks like the rush to get New York on board with the rest of the nation is not without its setbacks. Maintenance awards can indeed be complicated, but they are one of the most important aspects of any divorce proceeding (and indeed sometimes the only aim for some spouses). Until New York stabilizes its current maintenance issues, the new law might create more problems than previously anticipated. I guess even the most anticipated laws have their faults. My husband is an abusive drunk, a woman abuser and an adulterer. How is this “no fault divorce” going to help me. He wasted the best years of my life (I am disabled) and he makes 10 times the money that I get. He pays no bills, buys no food and he is guilty of mental, physical and economic abuse. I am 62 years old; soon to be 63. So how is this going to help me?? I though all states had done so years ago. Interesting that this law was so recent.